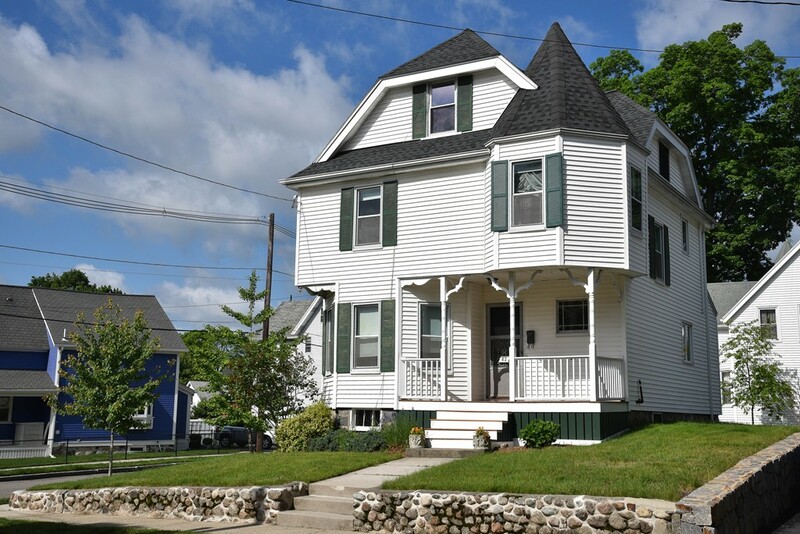 Welcoming home sited in the quintessential Highlands at Franklin Sq neighborhood boasts classic details & excellent "bones". This opportunity pairs location and an excellent equity builder as the home needs updating. Featuring the common themes of turn of the century building, the room scale, windows, ceiling height, spacious china closet and moldings hearken back to Melrose's roots. The family believes that HWF are found below the wall-to-wall throughout the first floor. The kitchen footprint adjoining the half bath allows for a thoughtful renovation. The second floor hosts generously sized bedrooms with good storage space, as well as a full bath and an alcove that may be a good locale to create a master bathroom. Wood floors, moldings and the large windows which allow for beautiful, natural light to bathe the rooms. The third floor is mostly finished and boasts oodles of potential. Sweet locale: Whole Foods plaza, secondary school complex, Fells, train and awesome neighborhood!